Began making rustic shelves for the barn. One wall of shelves sorta done (will prolly add additional shelves later as need arises), 3 more walls to do downstairs. Then upstairs. Lots of work, it drags on because I'm only able to work on it once in a while. 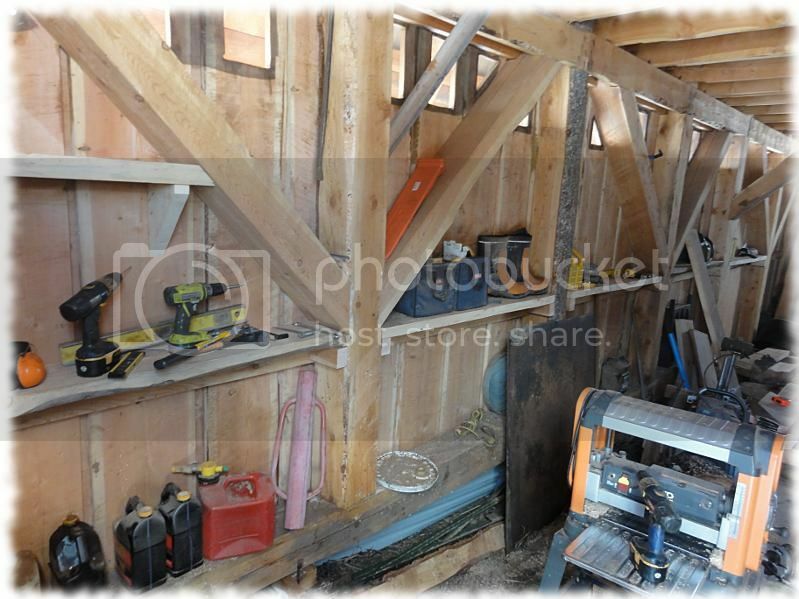 Five years have passed and the interior of the barn is still not complete. 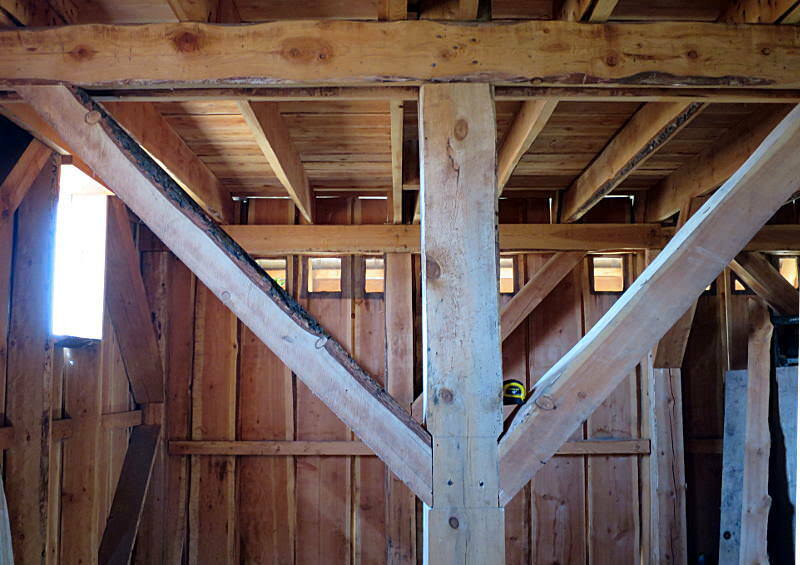 Several wind braces are lacking (temporary braces made from scrap lumber have held the building up all these years ). 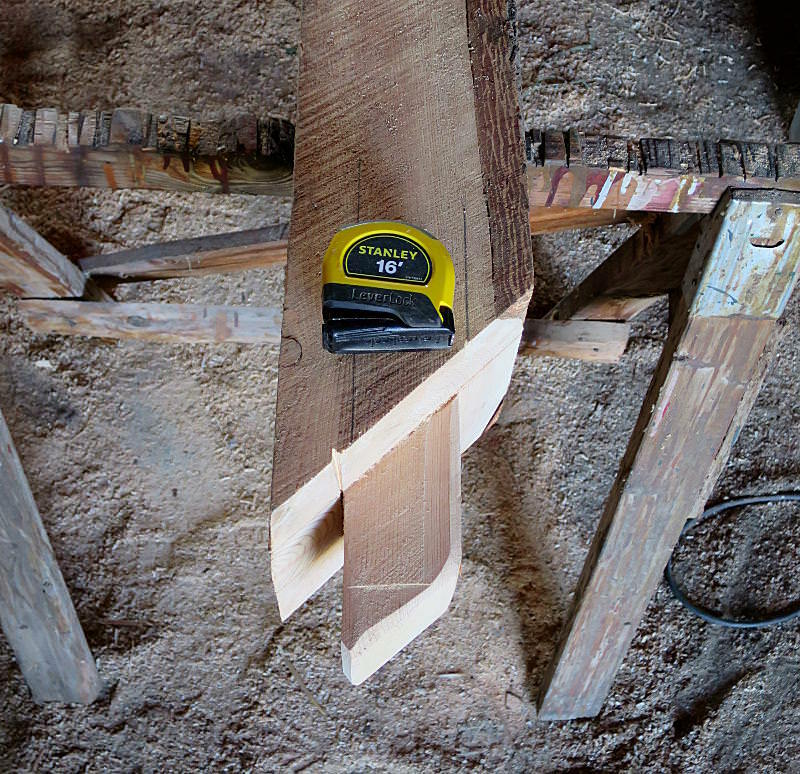 Laying out the tenon in 6" x 8" douglas fir. 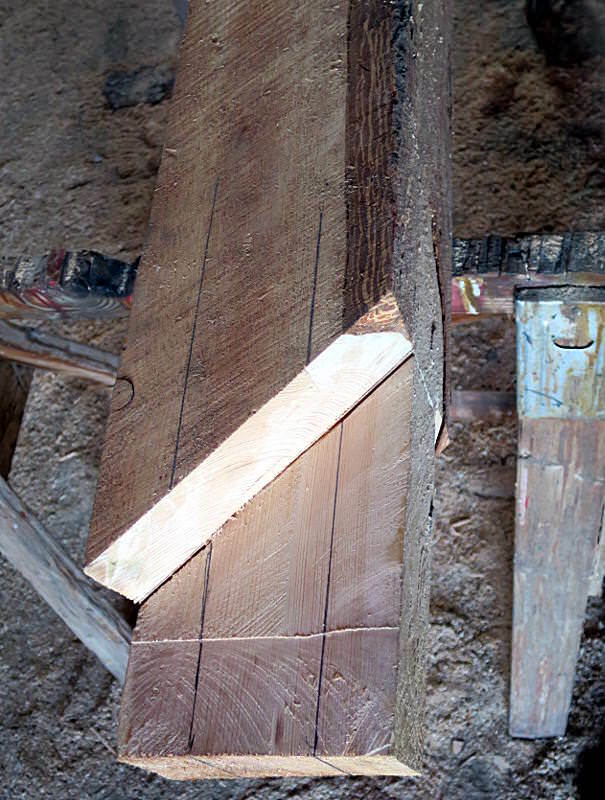 A not-so-perfect mortise in an 8" x 8" post. 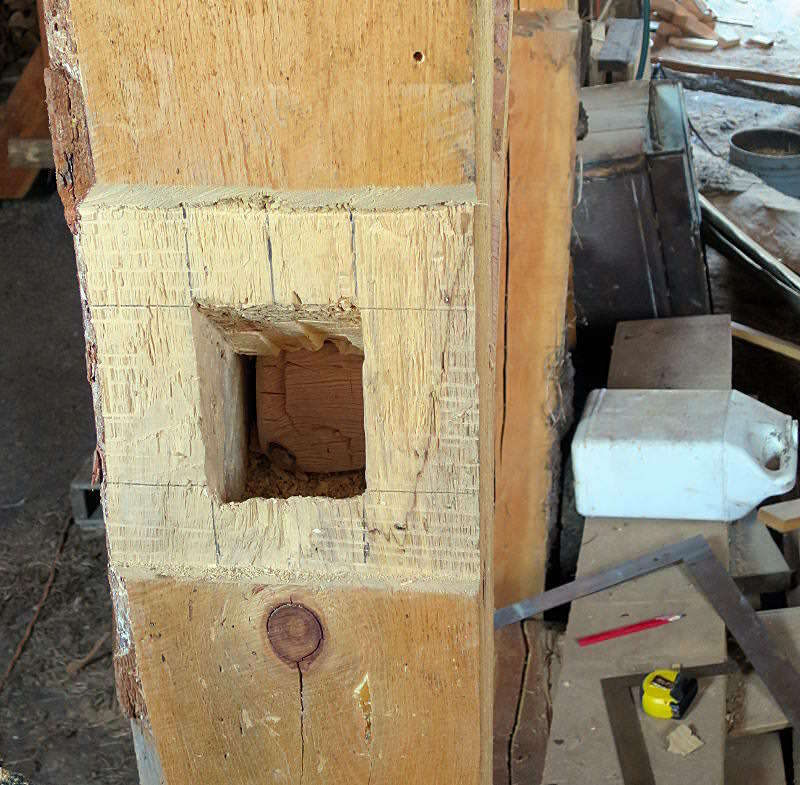 This particular post happened to be ponderosa pine and was easy to chisel. The douglas fir posts are less cooperative. Two new wind braces installed, two or three more remaining. Each wind brace weighs over 100 pounds and takes about half a day to prepare and then wrestle into place. 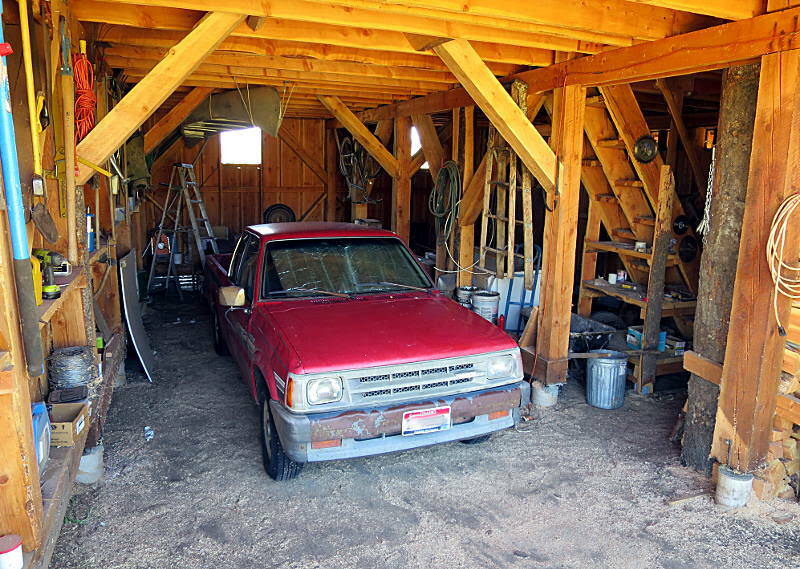 Wind bracing complete, tools hung up, construction materials stacked, and finally a vehicle can be parked inside the barn with room to spare. Yea!